Our elementary school outreach program, dreamArchitecture, is an annual art competition that encourages children to think about their built environment. Contest themes vary each year, allowing students to express their creativity through drawing their dream house, zoo, park and more. This wildly successful program sees participation from nearly 1,000 area children in Birmingham each year. In 2015, expanded our program to serve schools in the Huntsville and Mobile areas. 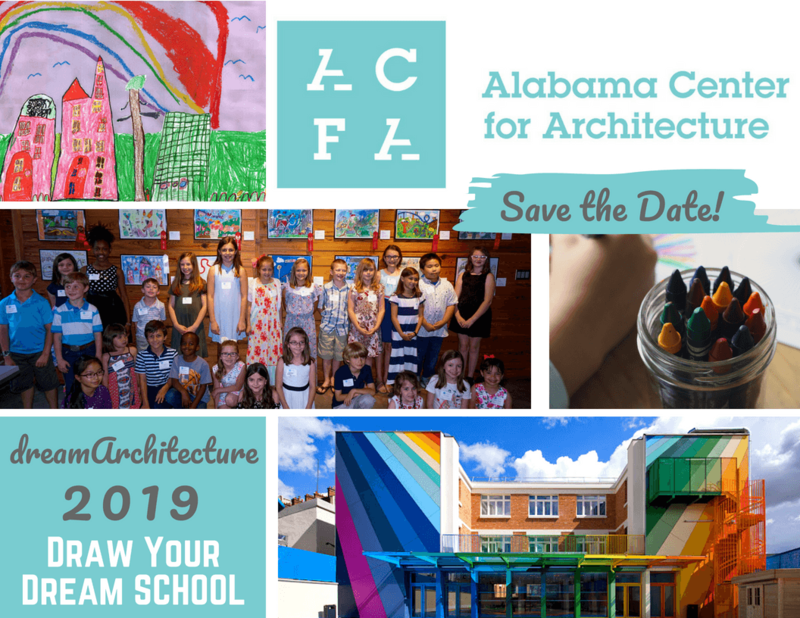 2019 Theme – Draw your DREAM SCHOOL! Saturday, January 26, 2019 from 9:00 a.m.-12:00 p.m.
Wednesday, April 3, 2019 by 5:00 p.m.
Thursday, May 2, 2019 from 5:30 p.m.-7:00 p.m.
Thursday, March 28, 2019 by 5:00 p.m.
Saturday, January 26, 2019 from 9 a.m. to 12 p.m.
See the 2018 winners from each city here!